Mince the onion and garlic and set aside. Melt butter in a large sauce pan. Add onion and garlic and saute until tender, 3 to 5 minutes. When onion and garlic are tender, juice the lemon and add juice to the pan. Add the cider vinegar, ketchup, horseradish, Worcestershire sauce, and liquid smoke to the sauce pan and stir. In a small mixing bowl, combine sugar, dry mustard, and salt. Add dry ingredients to the sauce pan and until dissolved. Bring sauce to a boil and reduce to simmer. Simmer uncovered for 45 minutes, stirring occasionally. 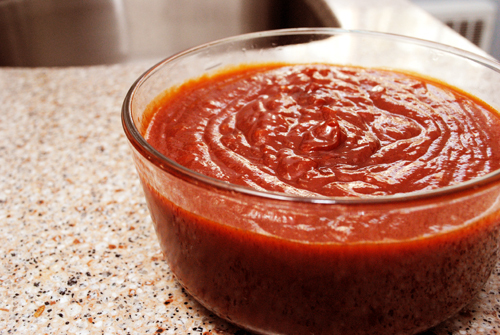 Use Barbecue Sauce with Barbecued Beef Ribs , Barbecued Half Chicken , or serve along with Meatballs .